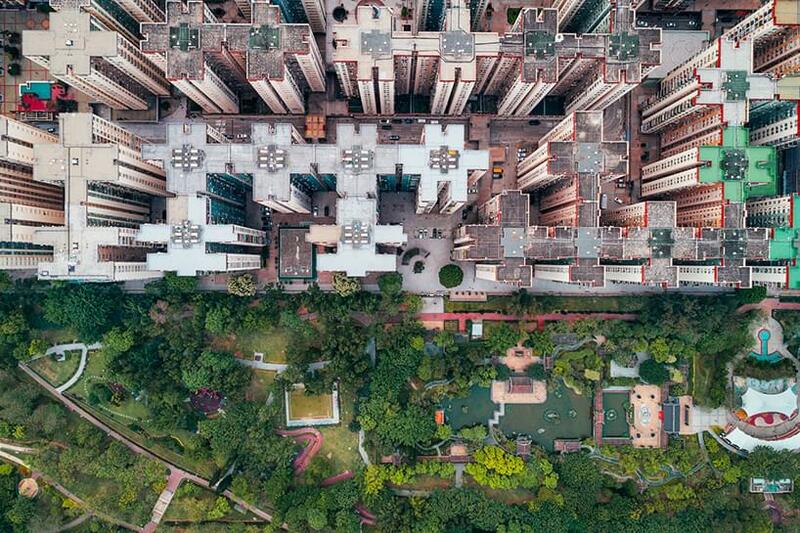 Hong Kong-based photographer Andy Yeung highlights the plight of claustrophobic living in Hong Kong from a new perspective — the air. 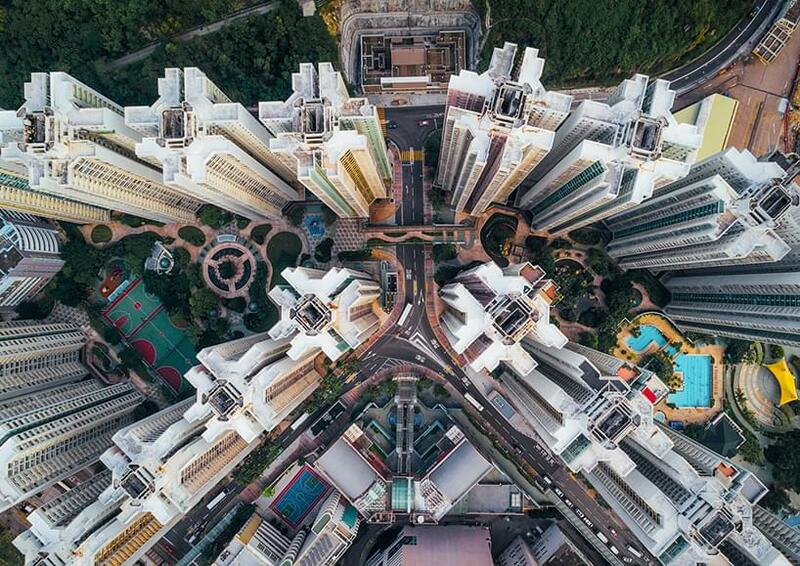 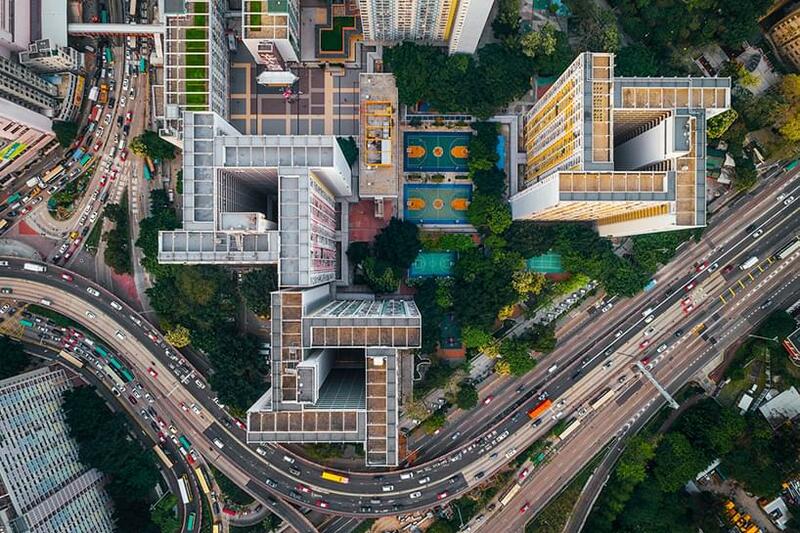 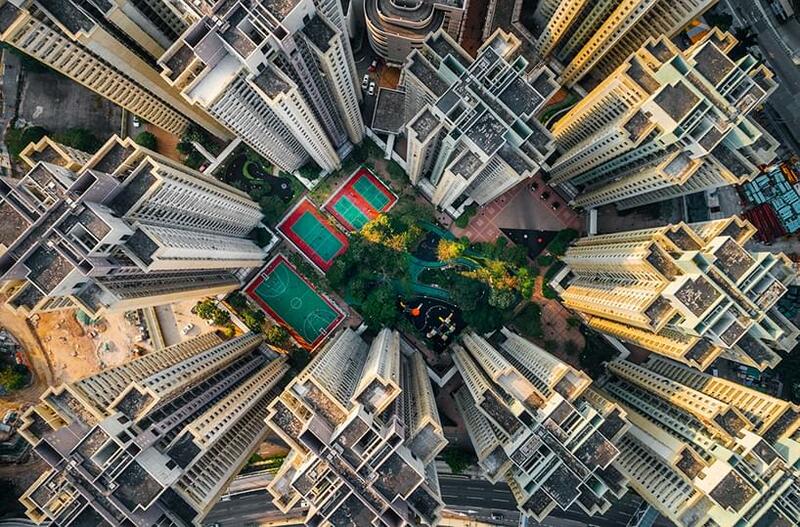 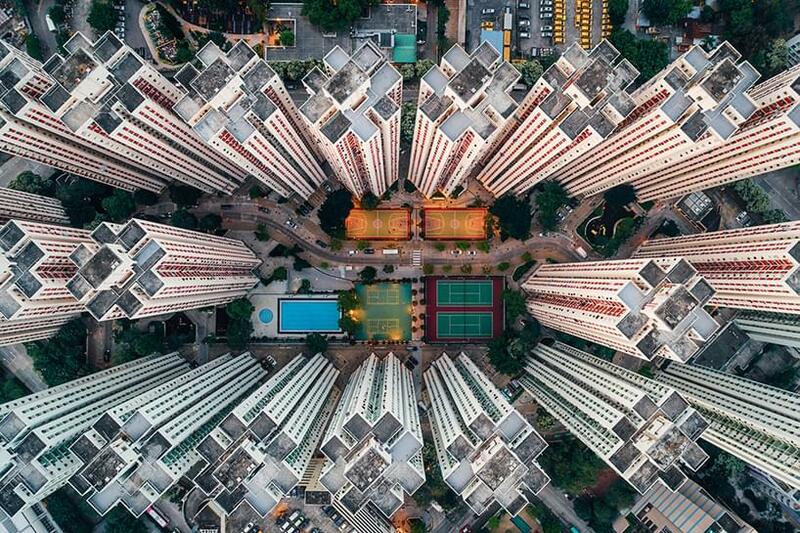 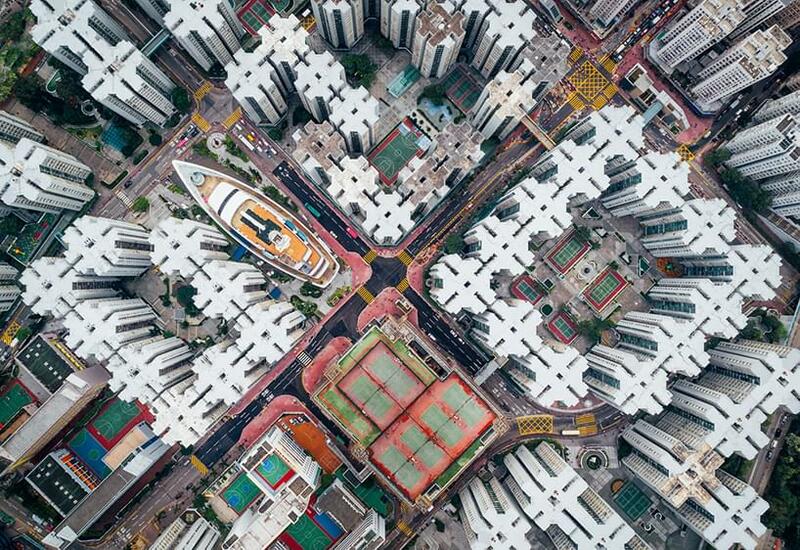 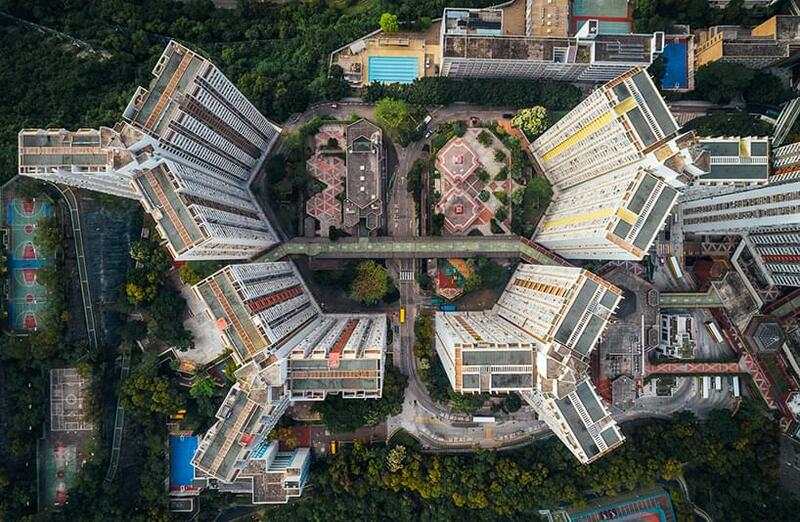 Looking straight down at the city via drone, Yeung documents the architectural density of apartments, where the only view outside is a neighbor’s window. 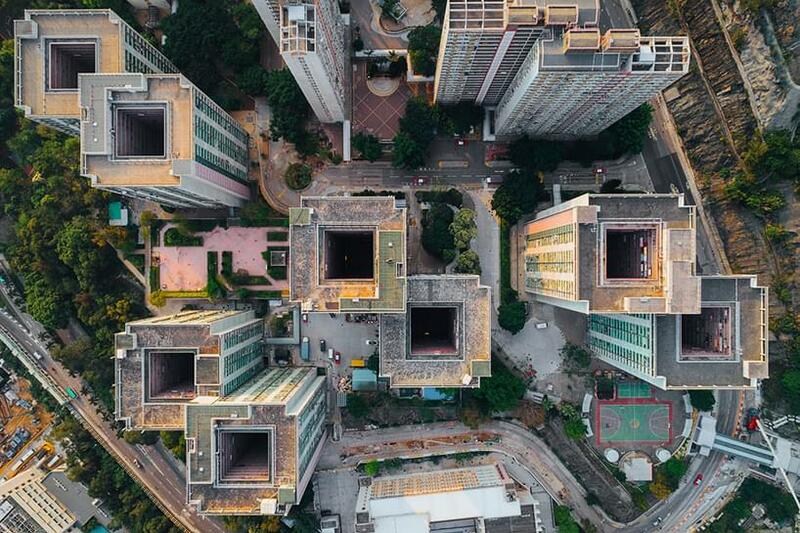 For the series ‘walled city’, the photographer draws from the notorious kowloon walled city — the now-demolished, densely-populated part of hong kong that was infamous for drugs and crime. 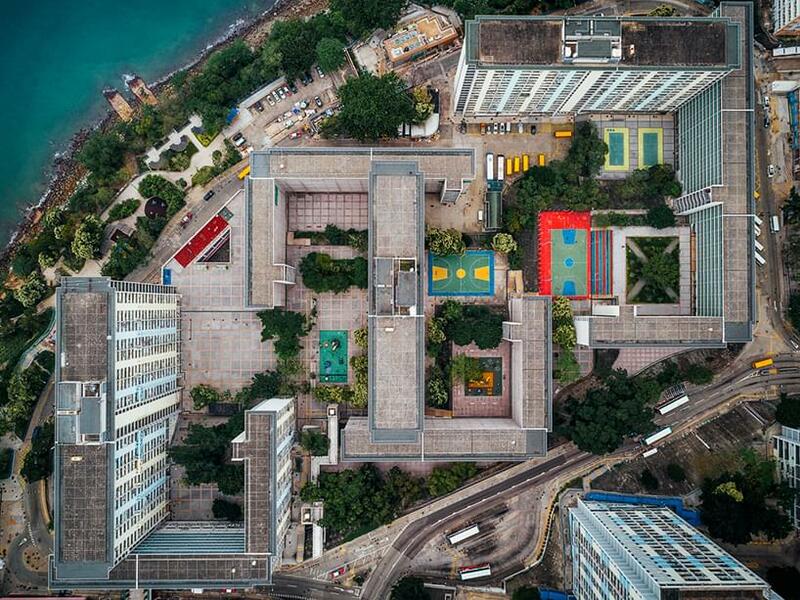 Yeung notes that despite the demolition of kowloon walled city, high-density and architecturally impenetrable places still exist in Hong Kong.